In the years I’ve been compiling this roundup I’ve seen how trends crop up—from AR hunting rifles to budget bolt actions to long-range rigs, along with the ascendance of the 6.5 Creedmoor as a chambering. 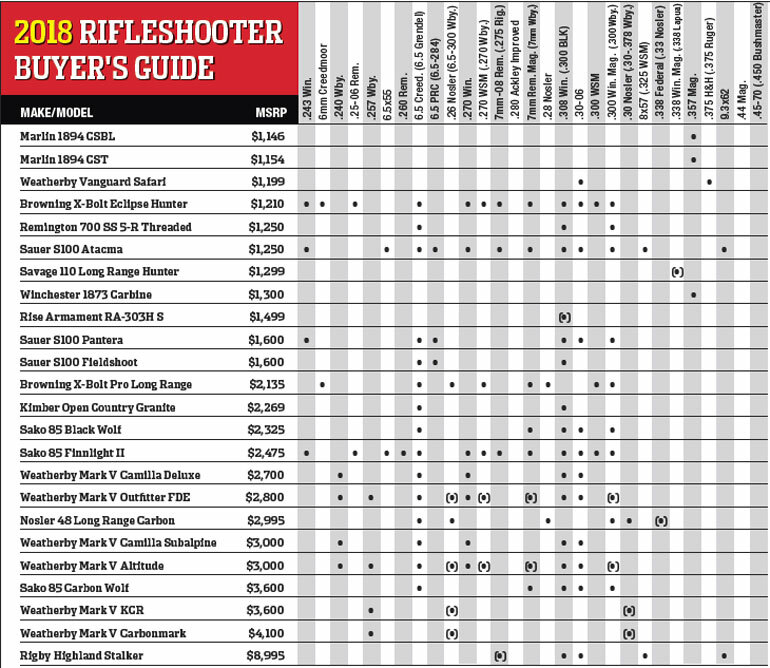 You’ll still see a smattering of all of that on the 2018 list, but this year’s class of new hunting rifles truly offers something for everyone regardless of whether you’re planning to shoot long ranges, at high elevations or simply aren’t trying to shoot your entire budget. Here’s to the hunting rifle class of 2018, one of the most exciting—and diverse—collections of guns in recent memory. New this year is the B-14 Ridge, which features a two-lug push-feed bolt with a sliding plate extractor and a coned bolt nose and breech. The action is mated to a No. 5 contour Bergara 4140 chromoly steel barrel with a threaded muzzle and thread cap. The barrel is matte blued and measures 22 or 24 inches depending upon caliber, and the glass-fiber-reinforced molded gray synthetic stock comes with solid epoxy pillars molded into place. These rifles weigh between 7.9 and 8.1 pounds depending on caliber. 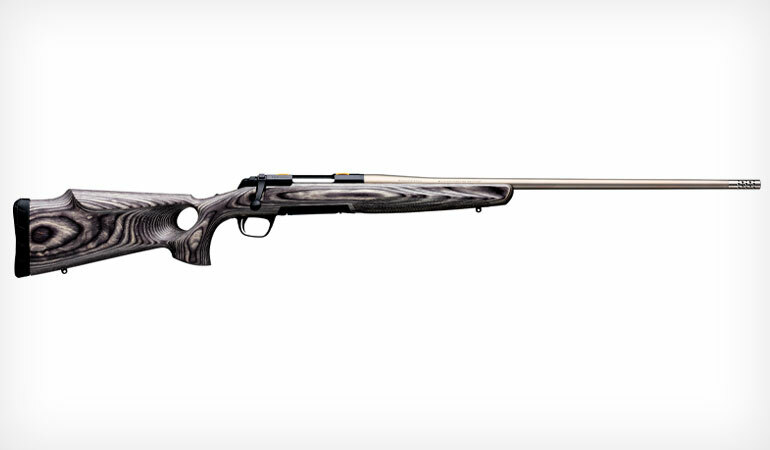 Browning expanded its line of X-Bolt rifles this year by three. First is the X-Bolt Pro Long Range, which comes with a full 360-degree carbon fiber wrapped stock, a heavy sporter contour fluted 26-inch barrel with a removable brake, and a fluted bolt and bolt knob. The entire exterior surface of the rifle is treated with Cerakote Burnt Bronze, including the barrel, action and even the stock. Despite its long, heavy barrel profile, these guns weigh between 7.25 and 7.5 pounds. Also new is the X-Bolt Eclipse Hunter, which comes with a gray laminate thumbhole stock with a Monte Carlo cheekpiece and a sporter contour barrel with removable muzzle brake. The contrasting matte blued receiver and matte gray stainless barrel give this rifle a striking look. Barrel lengths range from 24 to 26 inches and weight between about 6.5 and 7.5 pounds. If you saw the most recent issue of RifleShooter, you’re familiar with the X-Bolt Micro Composite, a compact version of the company’s entry-level X-bolt offering. With a 13-inch length of pull and a 20-inch barrel, the X-Bolt Micro Composite weighs just six pounds, five ounces and is manageable for even small-statured shooters. The black composite stock features Dura-Touch Armor Coating and comes with a Pachmayr Decelerator recoil pad. A few years ago CZ released its push-feed Model 557, and this year the company is offering the 557 in two left-handed versions: a medium action variant chambered in .30-06 with a hinged floorplate and a short action version in .308 Win. that comes with a detachable box magazine. Both guns feature 24-inch cold-hammer-forged barrels and Turkish walnut, American-style stocks. Magazine capacity is four rounds, and both versions weigh in at just under eight pounds. Italian gunmaker Franchi has released its first centerfire bolt-action hunting rifle: the Momentum. It features a fluted, oversize bolt with a trio of locking lugs in the front and a free-floated barrel in lengths of 22 or 24 inches depending on caliber. There’s a hinged floorplate with the release mounted inside the trigger guard, and the trigger itself is a single-stage model that’s adjustable from two to four pounds. The stock has extra texturing just ahead of the trigger guard, and there’s a cutout near the rear of the stock for gripping with the off hand while shooting from bags, and the sling studs are recessed into the black synthetic stock, which is topped off with Franchi’s TSA recoil pad. The rifles are drilled and tapped to accept two-piece Remington 700-pattern scope bases. 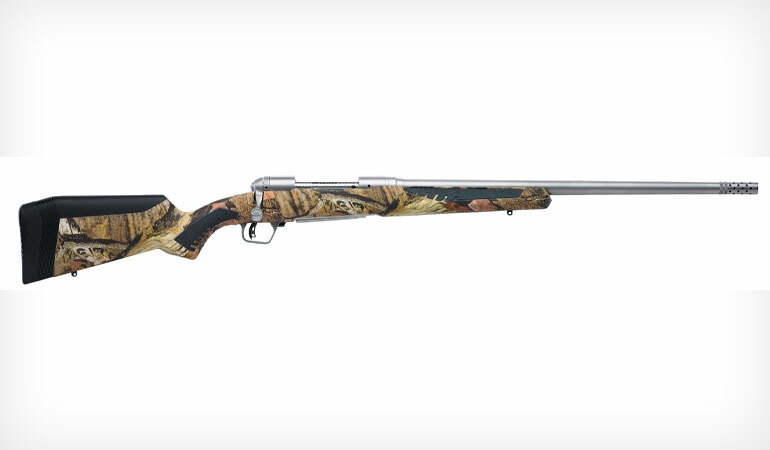 Howa’s Model 1500 family adds a model with an HS Precision stock. The hand-laminated stock is available in gray, green or tan and comes with black spiderweb epoxy accents. A precision-cut aluminum bedding block ensures consistent accuracy, and the rifle comes with Howa’s three-position rocker-type safety and the excellent HACT two-stage trigger. The push-feed bolt has a pair of beefy locking lugs up front and a plunger-type ejector, and the receiver is drilled and tapped to match Remington 700 bases. The sporter version has a 22- or 24-inch No. 2 contour barrel, and the 26-inch barrel on the heavy-barrel target version has a No. 4 contour. Kimber continues to expand upon its popular, affordable Hunter line. This year the company has added the Hunter Black. It has the same flat dark earth stock of the original, but the metalwork is treated with a KimPro II black finish. The new Boot Camp version—which honors the non-profit of the same name—also features the black metalwork, but the stock is done in Kryptek Highlander. Both rifles are light, under six pounds, and offer superb user-adjustable single-stage triggers factory set to 3.5 to four pounds, a controlled-round-feed action and three-position safety. They’re backed by a three-shot sub-m.o.a. accuracy guarantee. There’s also a new version of its popular Open Country: the Open Country Granite. This turnbolt manages to make black-and-gray coloring look sleek and modern. The 24-inch heavy fluted, threaded barrel and the action are treated with a gray KimPro II protective finish, and the carbon-fiber-reinforced stock is pillar bedded and features dual sling studs up front for mounting a bipod. Weight is less than seven pounds. Marlin has three new lever guns, including the 1894 CSBL, a rifle featuring a Wild West Guns oversize lever, gray laminate stock, polished stainless steel metalwork and XS Sights’ ghost-ring rear sight on an XS optics rail. The 1894 CST features a black-painted wood stock and stainless steel construction and comes with XS Ghost Ring sights as well and also offers a threaded muzzle. Both have six-round magazine tubes and 16.5-inch barrels. If you’re looking for something with a little more thump, there’s also the Trapper, a new version of the 1895 lever action in .45-70. It has a Wild West Guns oversize lever, Skinner sights, stainless metal and a black-painted wood stock. The tubular magazine has a five-round capacity. The new M18 features a three-lug, full-diameter bolt; detachable five-round box magazine; cold-hammer-forged barrel; durable black synthetic stock with soft-touch inlays in the pistol grip and fore-end; and a removable recoil pad that offers storage in the stock. Will it be this generation’s M98? Hard to say, but with a suggested retail of $700 and a sub-m.o.a. promise for a five-shot group, it’s clear the company is making a serious run at the U.S. rifle market. Mossberg’s Patriot line of rifles continues to grow with the addition of the new Cerakote Patriot. As the name implies, these rifles come with a Cerakote Stainless H-Series coating on the metalwork. Like other Mossberg Patriot rifles, the new Cerakote model features a dual-lug bolt with spiral fluting, a free-floated 22-inch barrel, durable black synthetic stock, detachable four-round box magazine and the company’s LBA Lightning bladed trigger. The Patriot Cerakote is priced below $450, making it an affordable choice. There’s also a new version of the Patriot Super Bantam Combo Scoped with a Muddy Girl Serenity Camo synthetic stock. 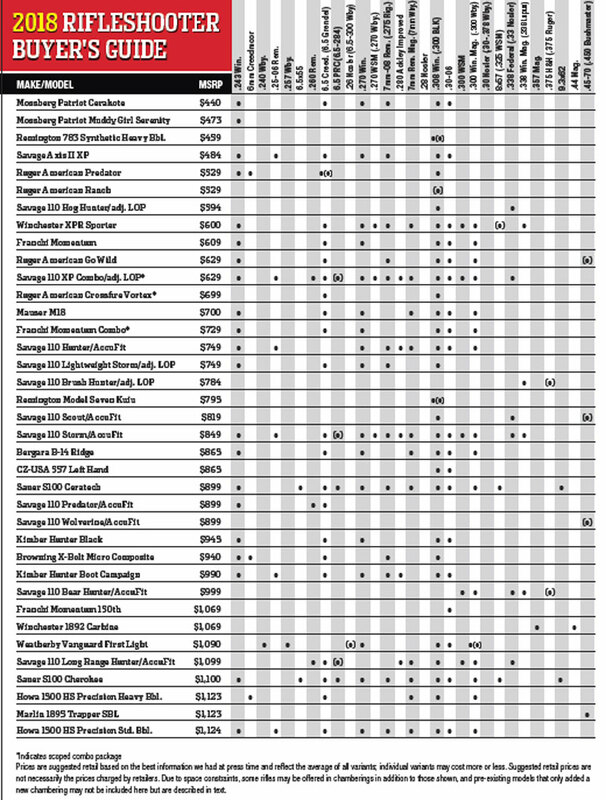 Several existing Mossberg models are being chambered to the ultra-popular 6.5 Creedmoor—including the MVP Predator and eight versions of the Patriot, many of the latter being scoped combos. 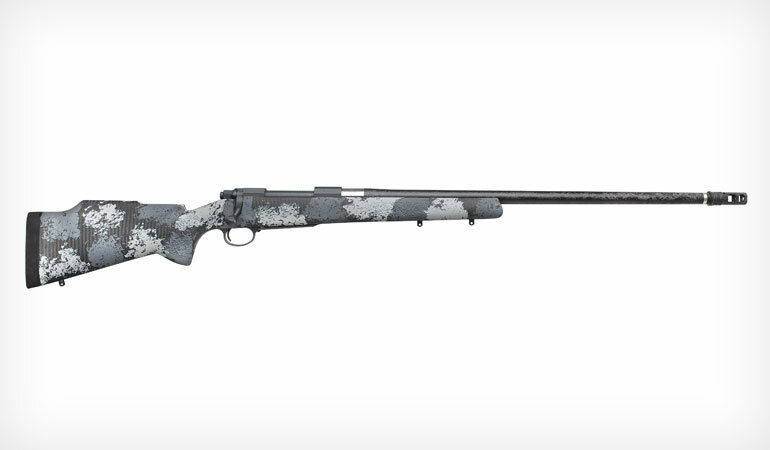 This year Nosler debuted one new hunting rifle: the M48 Long Range Carbon, which uses the same push-feed, dual-lug action you’ll find in other M48s and the same crisp, light, adjustable trigger. The action is paired with a 26-inch Proof Research carbon-fiber-wrapped barrel with a Light Sendero profile and 5/8x24 threaded muzzle. The barreled action is then dropped into a Manners MCS-T Elite Tac carbon-fiber Elite Midnight Camo stock, and glass and aluminum pillar bedding ensure maximum accuracy. Other features include a hinged floorplate, Timney trigger, a two-position rocker-type safety and a full Cerakote Sniper Gray protective finish on the metalwork. The liberal use of carbon fiber keeps the weight of this rifle to just seven pounds, and it comes with a sub-m.o.a. accuracy guarantee. The company launched the new Model 700 SS 5-R Threaded Stainless Gen 2. At the heart of this gun is the same reliable push-feed bolt design and rounded action that made the Model 700 famous decades ago. The cold-hammer-forged heavy-contour barrel is fluted, threaded, and comes with 5-R rifling to enhance accuracy and extend barrel life. Three of the four available models come with 24-inch barrels, but there’s also a 20-inch barrel .308 offering that would be handy in a blind, treestand or thick cover. The stainless steel barrel and all the other metalwork on this rifle comes with a black Cerakote finish, and the sand-colored HS Precision stock comes with a full-length aluminum bedding block for improved accuracy. Also new this year from Remington is the Model Seven Kuiu Threaded—a sleek, light woods rifle that combines Remington’s popular short action with a modern camo pattern and a short 16.5-inch barrel ready for a muzzle device. It’s also been updated with the addition of a top rail for easy optic mounting. Weight is a mere six pounds, and overall length is just over 34 inches. Remington unveiled its Model 783 Synthetic Heavy Barrel. It comes with a flat dark earth synthetic stock; a short, heavy, threaded 16.5-inch button-rifled barrel; CrossFire trigger; and Remington’s SuperCell recoil pad. There’s a Picatinny rail up top for mounting optics, making it a fine gun for heavy timber or hogs. Rigby’s newest offering is a showstopper. Polished grade V wood comes standard, there’s ample hand-checkering, and the sights and engraving pattern are identical to the original Rigby design. It’s available in four chamberings and weighs about 7.8 pounds. The action is silky smooth, and everything about this rifle is robust, well fitted, and beautifully styled. It isn’t cheap, but it’s certainly a piece of art in steel and walnut. Rise is a relatively new gun company. It got its start in the oil and natural gas and aeronautical fields, and its RA-303H is the brand’s take on the perfect AR platform hunting rifle. A 20.2-inch 416 stainless air-gauged barrel is matched with the company’s Ripper billet upper and features Rise’s premium bolt carrier group. Rise developed the RA-140 Super Sporting trigger, and you’ll find it in this rifle. It breaks cleanly at 3.5 pounds. Rise also makes the rifle’s lightweight 13.5-inch RA-901 slimline aluminum billet handguard with six inches of smooth grip surface in the center. There is a full-length upper rail and quad rails on the front and rear sections of the handguard for mounting accessories, and this lightweight (just over eight pounds) AR is available in black, flat dark earth or foliage green. 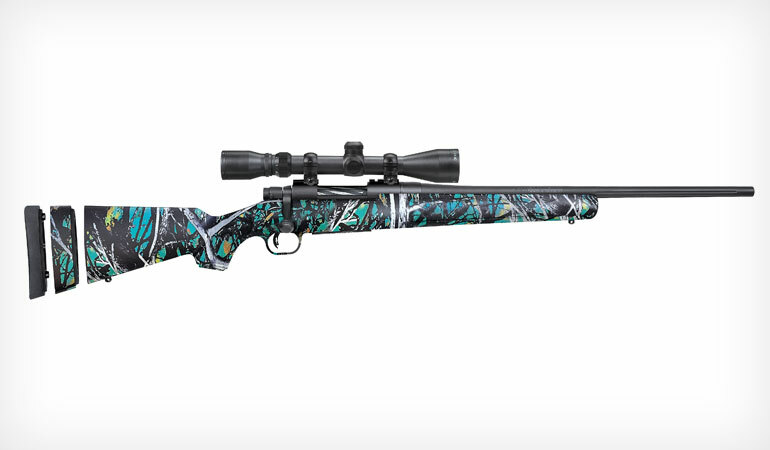 Ruger’s family of American rifles adds the new Go Wild camo version. The metalwork on the rifle receives a Cerakote Bronze finish, and the threaded barrel is topped with a removable muzzle brake. As the name implies, the synthetic stock is covered in Go Wild’s IM Brush pattern, and the rifle comes with an AI-style magazine, rotary magazine or single-stack box magazine depending on caliber. Like all American rifles, this gun comes with a Ruger Marksman adjustable trigger, three-lug bolt, top rail for mounting optics and a cold-hammer-forged barrel. The American Predator, Crossfire scoped combo and Ranch rifles are being offered with AICS-style box magazines for quicker reloads and added convenience. There’s also a new Predator version chambered in the popular 6.5 Grendel cartridge. Last but not least, Ruger now offers a version of its Ranch rifle in .300 BLK that is compatible with AR magazines. 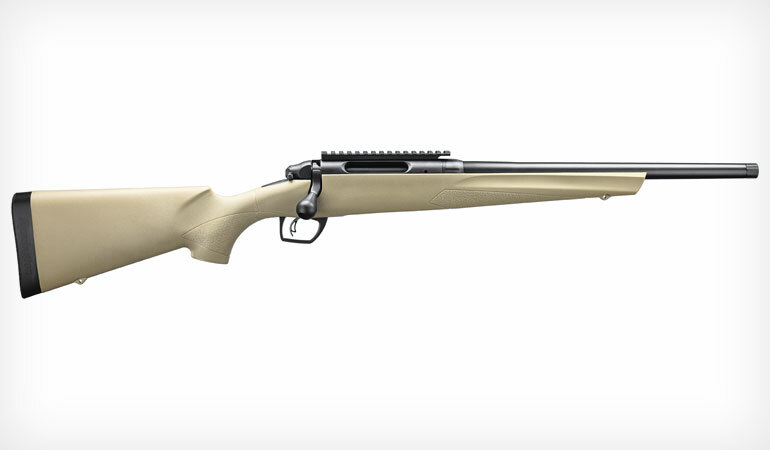 This year, Sako added two new bolt-action hunting rifles to its lineup: the 85 Carbon Wolf and 85 Finnlight II. The Carbon Wolf comes with an RTM carbon-fiber target stock with soft touch surfaces for added grip, adjustable comb and length of pull and 24-inch fluted, threaded barrels. The Carbon Wolf carries a price of $3,600, but if that’s too rich for your blood, there’s also a laminate-stocked version known as the Black Wolf available for $2,325. 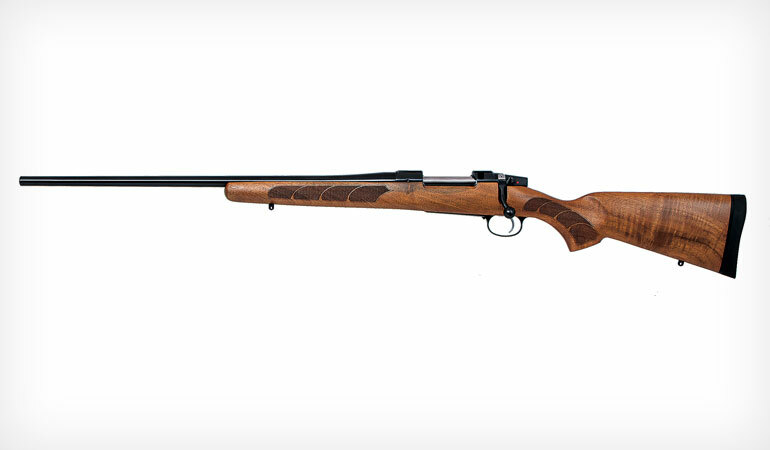 At the heart of both of these rifles is the controlled-round-feed Model 85 action. The new 85 Finnlight II shares that same action and comes with an RTM synthetic stock with adjustable comb and a black Cerakote finish. These rifles truly are light, weighing in at as little as 5.5 pounds, and both right- and left-handed models are available. Both the Carbon Wolf and Finnlight II come with Sako’s adjustable trigger, and both are backed by the company’s outstanding accuracy guarantee that promises to put five shots under an inch at 100 yards. The big news from Savage this year is its redesigned stock. Known as the AccuFit, it comes with five comb risers and four composite length-of-pull inserts that allow you to customize the stock to fit your personal needs. There are also new Model 110 rifles that come with length-of-pull adjustments only. All told, seven Model 110 big game rifles come equipped with the AccuFit stock (Storm, Predator, Wolverine, Hunter, Long Range Hunter, Scout and Bear Hunter) and four new 110 models receive adjustable LOP stocks (Lightweight Storm, Hog Hunter, Brush Hunter, and Engage Hunter XP Combo). In addition, there is a left-handed edition of the 110 Storm for southpaws in several popular calibers. Also worth noting is the new budget-friendly Axis II XP Combo rifle with a new stock with adjustable length-of-pull spacers. These guns all offer the accuracy and value that hunters have come to expect from the Savage brand in a customizable package. The big news coming from Sauer is the expansion of its popular, affordable S100 line of bolt-action rifles. One is the S100 Ceratech, which comes with a black synthetic stock and a Gray Ice Cerakote finish on the action and barrel. Also new this year are two camo versions, the Cherokee and Atacama, that come with Digi-Camo soft-touch stocks and Cerakoted metalwork. There are also two target-style hunting rifles, the S100 Pantera and S100 Fieldshoot. The Pantera comes with a black-painted laminate stock and a Black Recon Cerakote finish, and the Fieldshoot gets an oil-finished laminate stock and rich bluing on the metalwork. The Pantera and Fieldshoot come with adjustable stocks with bipod adaptors, tactical cone bolt knobs and heavy-taper barrels, and the Pantera’s barrel is fluted and a threaded. All five of these rifles feature Sauer’s ultra-crisp adjustable trigger, detachable box magazines, three-position safeties and five-shot m.o.a. accuracy guarantee. Plus, these are some of the first production rifles chambered for the hot new 6.5 PRC hunting and target round. The biggest news from the team at Weatherby might not be what’s new on the production side but rather its move to Sheridan, Wyoming. But there are some new rifles, most notably the sleek Mark V Carbonmark, which features a 26-inch hand-lapped carbon-fiber-wrapped Proof Research barrel. The gel-coated gray laminate stock features the classic Weatherby profile, and like all Mark V rifles, it comes with the crisp, adjustable LXX trigger. The new Mark V KCR comes with a Krieger Custom No. 3 contour, fluted, match grade barrel that is cut rifled, hand-lapped and cryogenically stress relieved. Also new this year is the Mark V Altitude, which features a Kryptek Altitude finish on the stock, and the Mark V Outfitter adds a version with flat dark earth metalwork. The Camilla line of Mark V rifles designed specifically for female shooters adds a Deluxe version with a high-gloss walnut stock and a new Subalpine model that features a laminate synthetic stock in Gore Optifade Subalpine camo and Cerakoted metalwork. 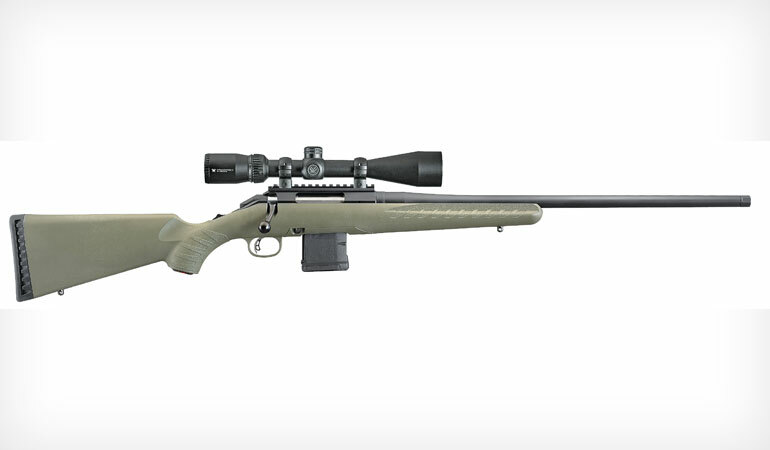 The Weatherby Vanguard line gets two new models this year. The First Lite model features a First Lite Fusion laminate synthetic stock and comes with a Flat Dark Earth Cerakote finish on the metalwork and a No. 2 fluted barrel that’s available with or without a muzzle brake. There’s also a new wood-stocked, Vanguard Safari model with adjustable iron sights. Though there’s nothing brand-new from Winchester this year, there are some expansions of existing model lines. The XPR Sporter adds a walnut stocked-version of the affordable XPR bolt gun to Winchester’s stable, and the XPR Compact, XPR Compact Hunter Break-Up Country and the full-sized XPR Hunter Mossy Break-Up Country rifles are now available in the ubiquitous 6.5 Creedmoor. There are two new additions to the brand’s lever guns line: a carbine configuration of the classic 1873 and a carbine model of the 1892. The 1873 Carbine comes with a barrel band, strap buttplate, saddle ring, and a straight-grip walnut stock, and the receiver is drilled and trapped for adding a peep sight. The 1892 Carbine gets the same treatment, including the drilled and tapped receiver. These two rifles are available in a variety of classic cartridges, and for short-range work on medium game like hogs, deer and black bear, they’re still a handy, fast-shooting option for hunters.